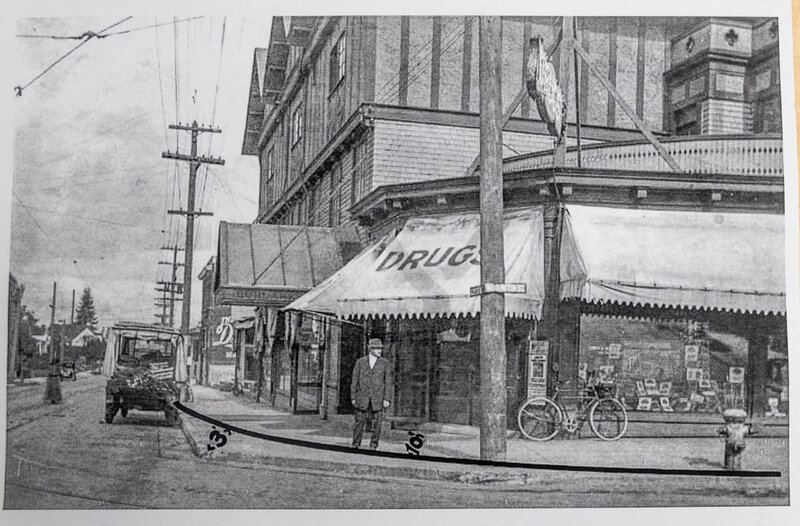 In my previous post on Portland's Alphabet District, we looked at the charming and diverse architecture of this notable National Register historic district. 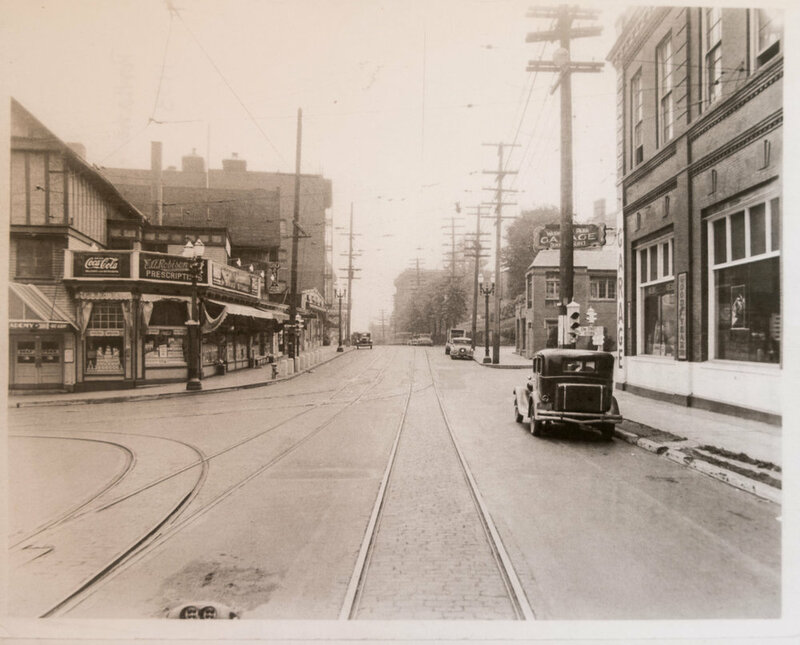 In this post, we're going to explore another topic related to historic preservation that I'm equally passionate about: the impact of cars on our communities, specifically this neighborhood. This morning I was almost hit by a car while walking in a clearly marked -- and frequently ignored -- pedestrian crosswalk in my neighborhood, the Alphabet District. Not a "gee whiz, that car just blew in front of me and I could have been hit" type of near miss but a legitimate "one millisecond later and someone would be calling an ambulance" type of situation. Here's what happened: After crossing NW 17th Avenue along Everett Street, I checked for oncoming traffic before determining it was safe to enter the zebra crossing, and the driver I'd walked in front of turning from 17th failed to check the crosswalk before pulling onto Everett and driving full-speed towards me, slamming on her brakes at the last moment thanks to a divine intervention from above; she came so close to hitting me that if I'd turned my knee, it would have brushed her bumper. I was close enough to her to see the glint of the delicate gold chain around her neck. Having a car careening towards me in what urban planners proclaim to be a safe space scared me and angered me, and, despite my shock, I managed to flail my arms helplessly while yelling at the woman (hello, this woman has no excuse for her careless driving that endangered both me and my child). Her reaction to this was to sit there and stare at me vacantly, mouthing a limpid "sorry" before speeding off to wherever she was headed. I shook my head in disappointment; is this what our world has come to? Must modern communities be such uneven playing fields for drivers and non-drivers?? My experience is nothing unique this day in age, this era of the car that we're living in. 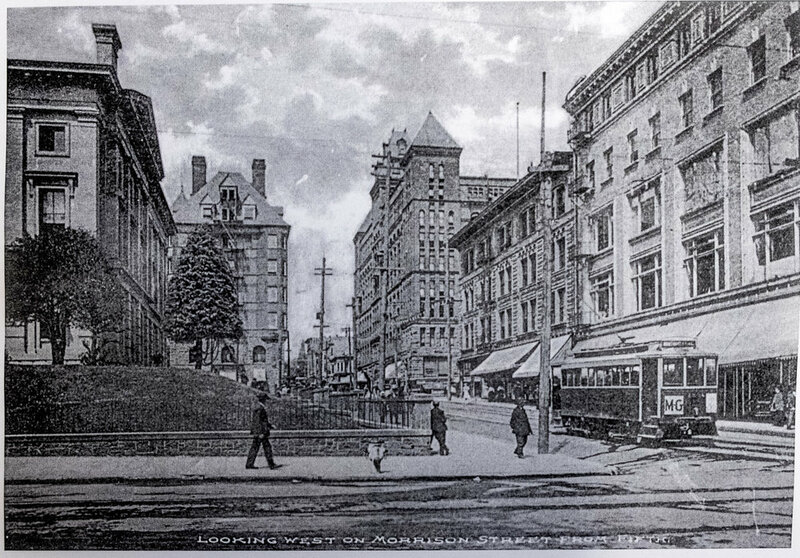 In Portland -- and across the U.S. and world -- our cities and communities are ruled by the automobile. 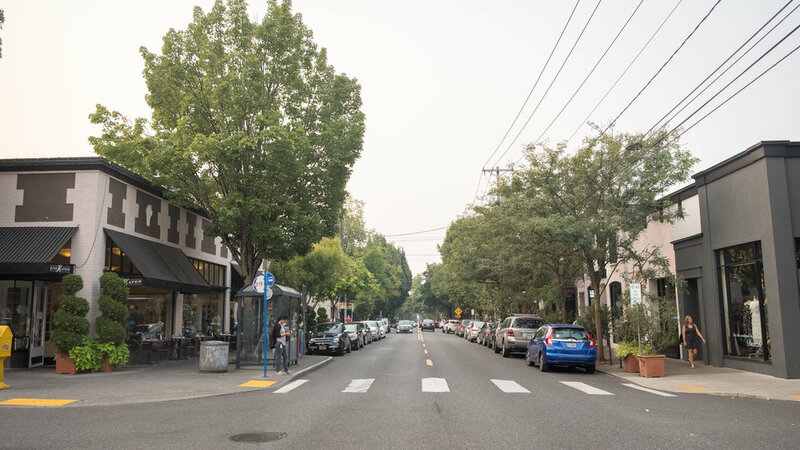 The Alphabet District is one example of how vibrant streets have evolved from safe, welcoming spaces for people to compartmentalized and even hostile environments for anyone not in a car. 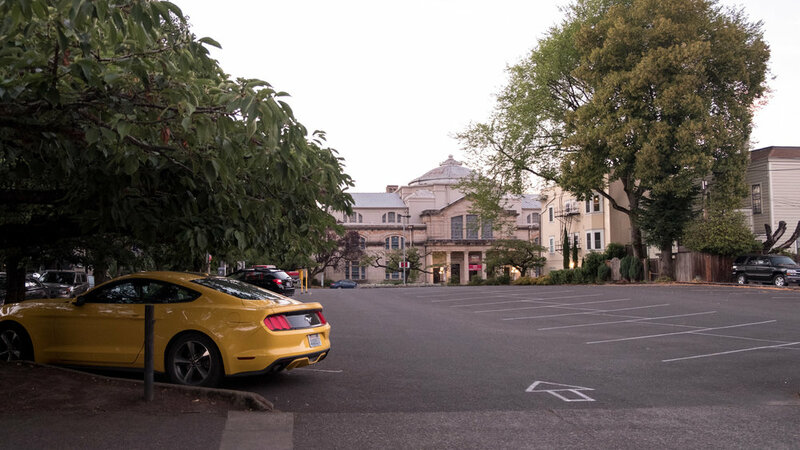 This area of Portland is packed with character, especially 21st and 23rd Avenues full of people, restaurants, shops, and more, so it's a tragedy to see its potential constrained because cars are prioritized over people. In my recent travels through Europe, the highlight of every place I visited was exploring each community's pedestrian-only, car-free downtown, which begs the question, why can't Portland have this, too? The people-oriented places I visited in Europe were magical, and sitting on a bench or at an outdoor cafe allowed me to fully take in the street life: watching people dart here and there, unencumbered by barriers; breathing in clean air; listening to the delightful melodies of human activity and nature; appreciating the buildings and the pleasant setting; laughing at kids running around freely. In these car-free spaces, everything seemed slower, richer, more civilized, less chaotic. Thinking back to these special places, I daydream about making the Alphabet District a more people-oriented neighborhood, with the first two steps being to eliminate surface parking (I've noted there's an average of at least one surface parking lot per block) and to replace on-street parking with protected/separated bike lanes and widened sidewalks (is it fair that cars have up to four full lanes of space?). Along 23rd, which truly is a gem of a street, I'd remove cars and bus service altogether, installing a streetcar and returning the streets to the people and nature (think more outdoor seating/cafes, bike lanes, space to stroll, and maybe a public space as glorious as Madrid's Plaza Dos de Mayo). Pie in the sky dreaming? Perhaps in the mind of people who have not experienced people-oriented spaces like those in Europe and don't understand that turning spaces into car-free areas, if done correctly, actually increases the appeal of an area by boosting foot traffic, tourism, and, most importantly, business. In communities across the U.S. and world, the overwhelming majority of people who fight people-oriented spaces do so on the misguided notion that lack of parking and vehicular access will stunt an area's growth, concerns negated in endless studies and pragmatically addressed in my post "A tale of two car-free cities" comparing Ljubljana, Slovenia, to Raleigh, NC, USA, as well as touched on after my visit to Nuremberg, Germany. In the very least, I'd like to see Portland's urban planners make the bold move of testing the theory by closing off a few blocks of 23rd to vehicular traffic for a few months -- ideally during Portland's much anticipated summer. Now that's an urban planning project to get behind, and I have complete confidence that the move would not only be successful but serve as a feather in the Rose City's cap and encourage other U.S. neighborhoods to follow suit and change decades of broken thinking on what our streets should look like. Come on, Alphabet District, it's high time we return the streets to the people. Imagine if there was more space for people on 23rd...! 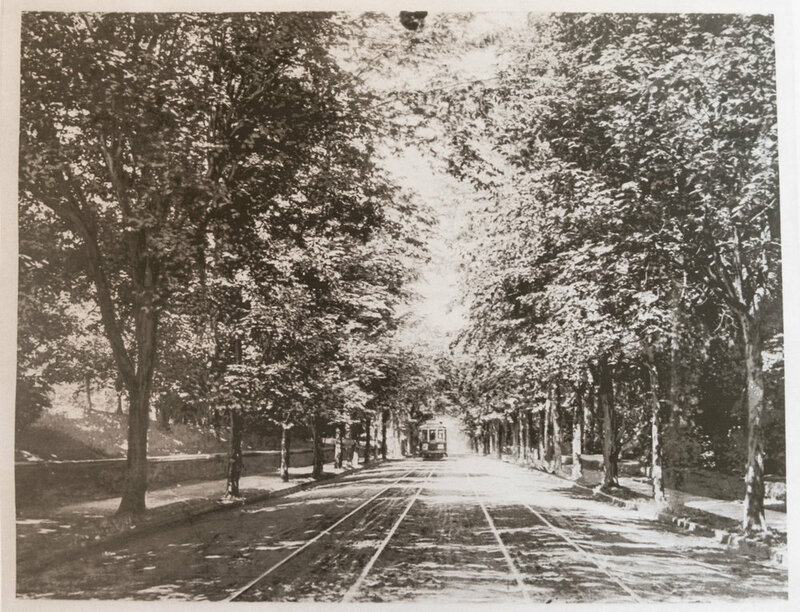 Many thanks to Tanya Lyn March, PhD, of Slabtown Tours, Scott Daniels of the Oregon Historical Society and Mary Hansen of the Portland Archives & Records Center for their assistance with historic photos and information on the Alphabet District. A note on the historic black and white photos: These are photos of photocopies of the originals, not scans of the originals, so the quality is a bit off. Remember the days when people ruled the streets of our cities and communities? Sigh, me neither. 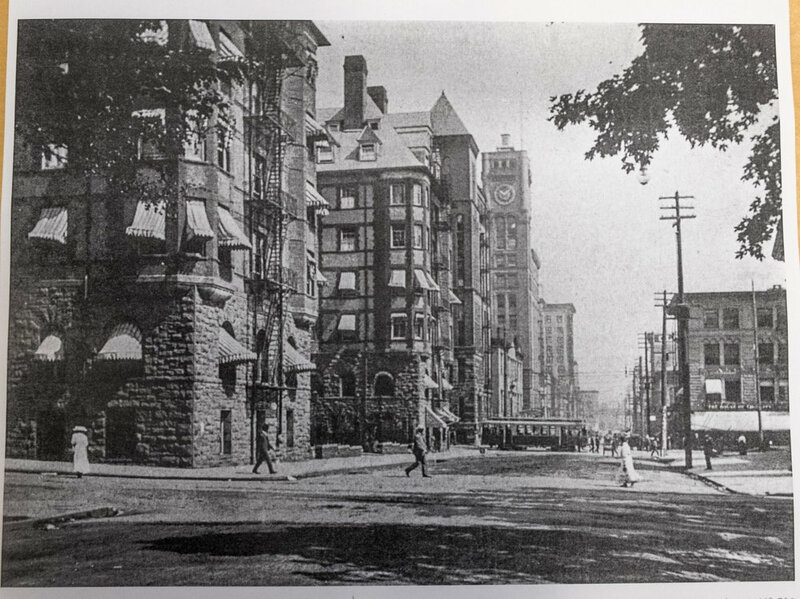 Here are a few photos from Portland's archives that showcase the people-oriented nature of Portland's streets, both downtown and in the Alphabet district from the late 1800s to early 1900s. Despite the city's variety of alternative transportation options (bus, streetcar, light rail, pedal pub!) and attempts to make the city bike- and pedestrian-friendly, the simple fact remains that Portland is a city ruled by cars. Urban planning, design, and policy favor cars and car drivers, leaving transit riders, pedestrians, and cyclists in the lurch to figure out how to safely -- and efficiently -- coexist in such a harsh environment. And while this is nothing new for today's cities and communities in the U.S. and around the world, it's a frustrating pill to swallow. 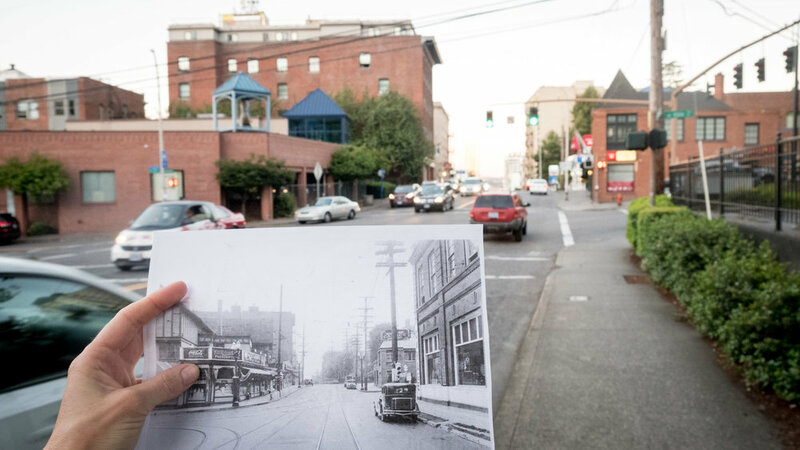 Here are some historic and current images highlighting the negative impact cars have had on Portland over time, images that show safe, open streets oriented to people transformed into harsh, unwelcoming spaces ruled by automobiles. What a pleasant trolley ride, right? 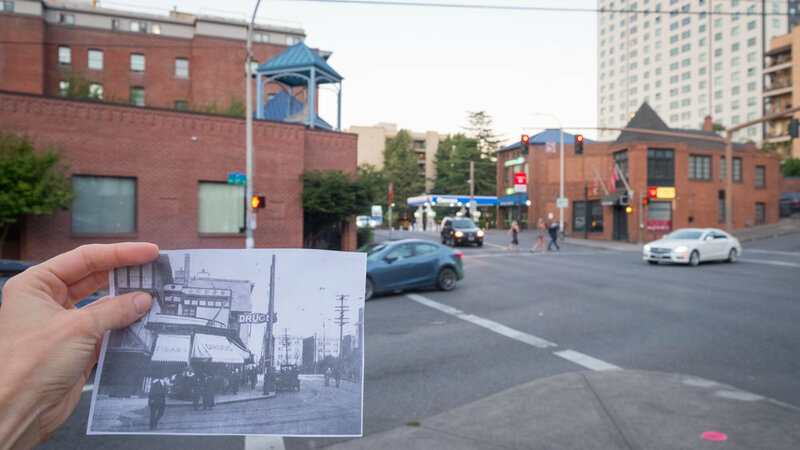 One of the busiest, most chaotic sections of Burnside is where the street crosses 23rd. Like many intersections we're familiar with today, this one is a veritable mess of fast moving cars and turning vehicles, a far cry from the quieter days when pedestrians and trolleys called the shots. 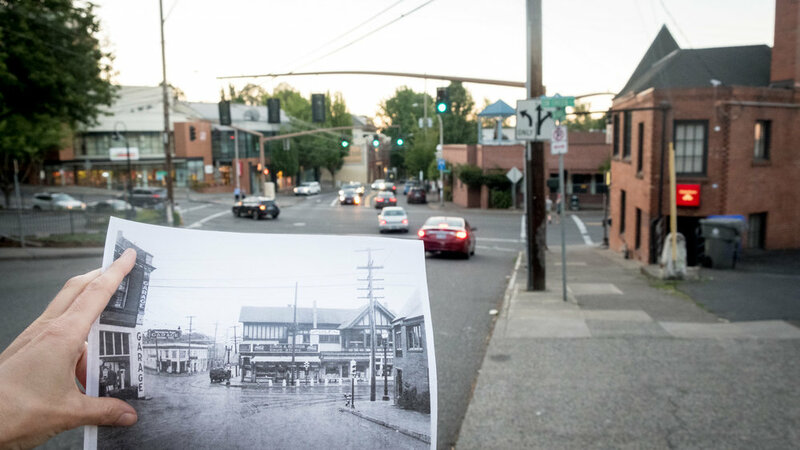 Let's take a look at how dramatically this intersection has changed over time.